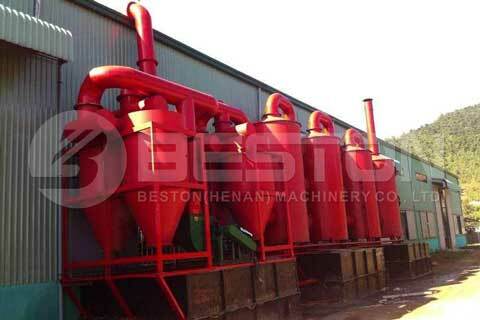 Beston biochar production equipment adopts the technology of pyrolysis and carbonization to produce biochar from biomass. 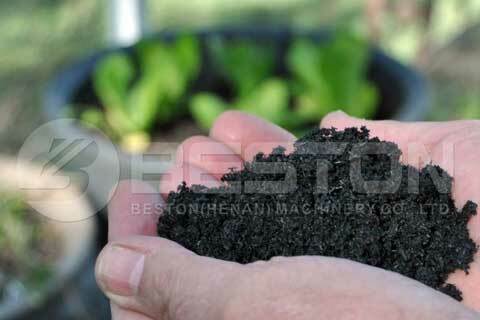 Biochar is a very important alternative energy in many aspects of human life. So the production of bio-charcoal complies the trend of waste to energy and finds a new solution to solve the organic waste issue and endows the waste a high value of use. 1. 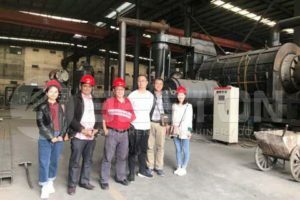 The raw materials to produce bio-charcoal are organic wastes including agricultural waste, green waste, human and animal waste, kitchen waste and so on, so it can add the organic content of the soil. 2. Comparing with the common soil amendment, biochar can effectively keep the water and nutrient in the soil except for adding the organic content to it because of the micropore structure. It has a strong ability to improve soil fertility, enhance soil productivity and keep the health of the soil. 3. Biochar is a stable solid, rich in carbon and can endure in soil for thousands of years, so it will be helpful for carbon sequestration and it has strong potential to mitigate the climate change. 1. Feed the raw materials by a constant weight feeder into the carbonization host, or you can also call the biochar reactor. If the water content of the materials is more than 25%, you must use a drying host to dry them at first. The perfect water content is below 15% in order to make sure a high quality of biochar. 2. Preheat the carbonization host while feeding for about 30 minutes. During the pre-heating, the combustible gas will be generated and then recycled into fuel to supply heat for the carbonization host. 3. 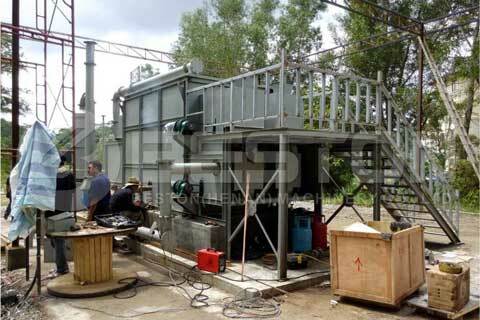 The process of carbonization and pyrolysis of biomass waste happens as the temperature rises. 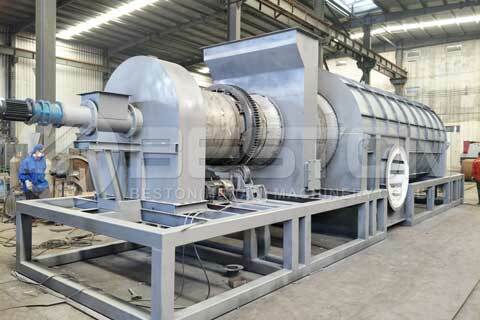 Through desulfurization and dedusting, the clean biochar will be discharged. The whole process lasts about 15 min to 20 min. 4. The flue gas/residual hot smoke will go through a strict filtering system in the water spraying tower with the functions of de-dusting, water washing, ceramic ring absorption and activated carbon absorption. Finally, it will be discharged outwards safely, meeting the EU Environmental Protection and Emission Standard. After the combustible gas is generated during the carbonization process, it will first go to the condenser. And then in the condenser, it will separate into tar and wood vinegar. The sulfur and dust in the combustible gas will be removed, too. At last, the clean gas will be recycled in the burning room to supply heat for the host. Tar and wood vinegar are both important industrial materials, so they need to be well stored. 1. Do you use “burning” to make biochar? No. 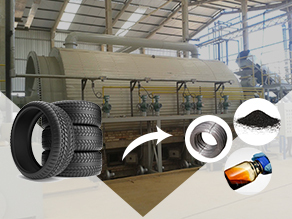 During the whole process of the bio charcoal production equipment, carbonization and pyrolysis are the only technologies we use. They are different from burning. Besides, the feedstock doesn’t contact with the heating source directly and there’s no opening fire. 2. How do you solve the emission problem? 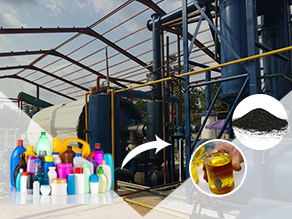 The process of carbonization happens in a microaerobic environment. The expansion coefficient of the oxygen and the combustible gas offset with each other. Once there’s oxygen in the biochar furnace, there will be negative pressure in the interior of the host, so there will be no smoke or gas generated outside of the host. As for the combustible gas, we have recycling method to reuse it to heat the host after dedusting and desulfurization. The customer can authorize SGS to do inspection and examination of the final emission. 3. Are there any ashes or slugs needed to be disposed of after the production? 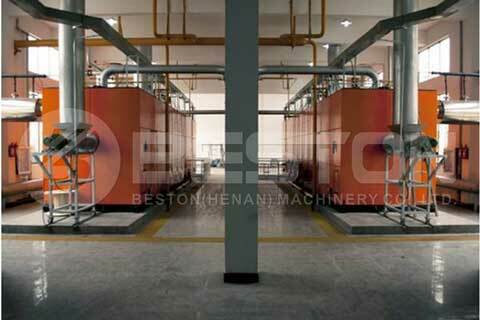 Beston offers high-quality biochar production equipment with a flexible configuration for sale. 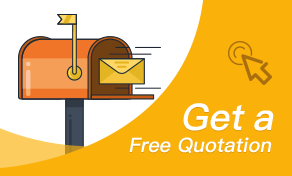 The professional sales consultant and engineers will help the customers to select the suitable configuration based on the customer’s budget, place, quantity, and quality of the raw material, local emission standards, etc. 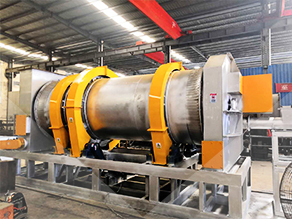 For example, if the raw material is too wet, they need to add an independent drying host; if the organic waste is bulky, you need to shred and crush them into small pieces, they will need a crusher (a size with 50 mm will be perfect for carbonizing). 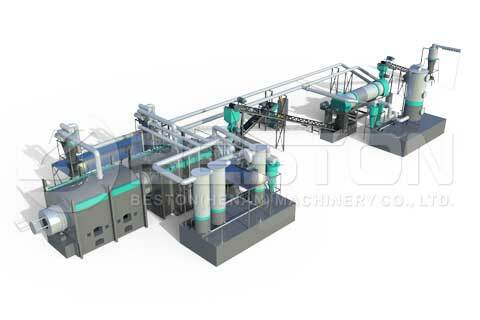 Moreover, the customer can choose a briquette making machine to make the charcoal into briquette directly after it is discharged. As the importance of biochar increases day after day, the needs for high-quality biochar production equipment increase as well. 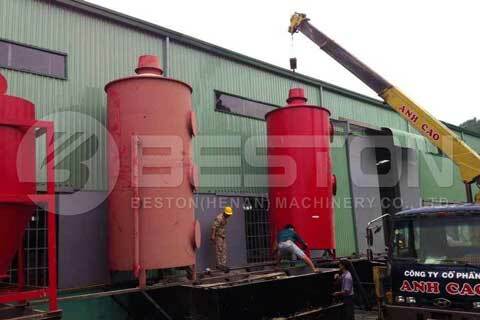 Beston (Henan) Machinery aims to supply reliable, durable and advanced biochar production units to our customers. Now, this equipment is in favor of the customers from all over the world, like Malaysia, Ghana, Australia, Uzbekistan, Turkey, Ukraine, Kenya, etc. 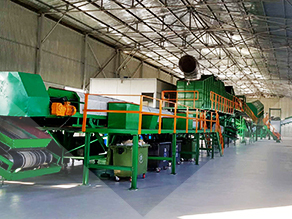 We would like to share our advanced technology of waste to energy to every corner of the world.